All-In-All is Susan Rensberger's blog about life, consciousness, unity and the joy of being. Cerro Punta Negra receives powerful cosmic rays, making it a center for healing, restorative energy. "Where are you now and what are you doing?" As usual, it's a long story. So I'm going to divide it into short, fast reads and post them here. If you want to receive these and future stories about my life in your inbox, you can join my mailing list at susanrensberger.com. 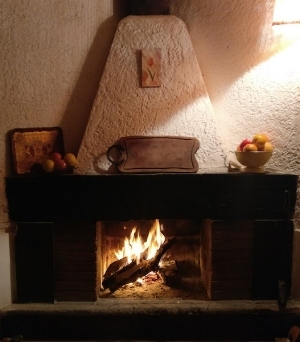 A few days ago, as I lit a fire in the fireplace of my cabaña, rearranged the leña and watched the flames rise, a I realized what it signified: I’ve given myself the gift of domesticity. After nearly six years of roaming the Americas, I’ve settled into a place I can call home. Mountain peaks outside my windows, an upstairs balcony from which to greet the morning and watch the day fade, a fireplace and a dog named Luz to lie in front of it. I’m surrounded by countryside, Old West-style as we would say in the U.S.: Desert scrub, arid hills, horses grazing in a green valley irrigated the traditional way by ditches diverting water from a nearby river, whose source is a glacier slowly melting high in the mountains. I’ve been there. I’ve drunk that water at its source. Above it all rise green foothills (which anywhere else would be called mountains) and the rugged pink granite peaks of the Andes. This is the place I’ve always wanted to live, since I first came to the Uco Valley in western Argentina more than six years ago. This particular combination of green and desert landscape gives me joy just by looking out my window, or sitting in my front yard, or hiking in the campo across the road. The closest I could get in all these years was the city of Mendoza, an hour-plus away. I’ve enjoyed living in Mendoza, with its tree-lined streets, sidewalk cafes, plazas and a huge park, but it never filled my longing for the mountains. Last (southern hemisphere) summer, I spent six weeks in the Uco Valley, looking for a house I could rent longterm, a home base. In the whole valley, I found one house that didn’t feel right, another that wasn’t (and still isn’t) finished, and many tiny, very rustic cabins to rent by the night. I left last May to spend the summer in North America, questioning whether I really belonged here. A month ago I returned to Mendoza, still asking. Standing in the airport immigration line, I turned my attention inward and asked, "Is this really where I'm supposed to be?" “We need you here for awhile,” I heard. "We have to arrange something for you.” A chill ran through my body and the hair on my arms stood upright. A few days later, I met a man whose cousin owns three cabañas at the top of the Uco Valley named Rosa de Los Andes. They’re directly in front of Cerro Punta Negra, a mountain identified by scientists as receiving the strongest cosmic rays they’ve measured. Three weeks after I arrived in Mendoza, I moved to my new home. Nowhere could suit me better right now. The cabin is one of only three, a small house with one room downstairs serving as living-dining room and kitchen, and a second story loft divided into two bedrooms. Its most unusual feature is that it has windows that meet at the northwest corner, giving an expansive view of the mountains upstairs and downstairs, a beautifully landscaped yard. And the windows have screens! Anyone who has lived in Latin America knows how rare that is. When I saw the lilacs blooming beside my front porch, I knew this must be my new home. The lilacs blooming in the yard of the farmhouse where I grew up in Indiana were among my favorite flowers. In many ways, life here reminds me of the beautiful aspects of my childhood home. It’s quiet. There are dogs, horses, birds. A few days ago, I saw from my upstairs window two farmers discing a field. One drove the tractor, the other rode on a seat on the disc. When the disc got clogged with roots from the recently cleared land, he got down to clear it. Where I grew up, farmers owned or rented the land they worked. Everyone drove tractors. Everyone did everything. Here, the farmers are employees, and labor is specialized. Tractorista is a job title, and apparently the job description doesn’t include getting off the tractor to clear roots out of the disc. Life in general is slower and simpler. I was looking for simplicity when I left the U.S. Instead, I created more complication for myself. Now I find that simplicity really means having what you need, and luxury means anything that makes your life easier. On Saturday I bought myself a second box of matches so I could have one by the kitchen stove, which of course has to be lit by hand, and another beside the fireplace. The next time I lit a fire (which I can use for heat and cooking, though the house has electric heating units and a gas stove), I reveled in the luxury of two boxes of matches! It made me smile. Life is easier when you don’t feel you need so much to have more than enough. Every moment of our lives is a fragment of eternity. Every particle of our bodies that we call physical is made of vibrating energy, infinite and eternal. Our thoughts, feelings, and consciousness or awareness — our wakeful state — also are energy. 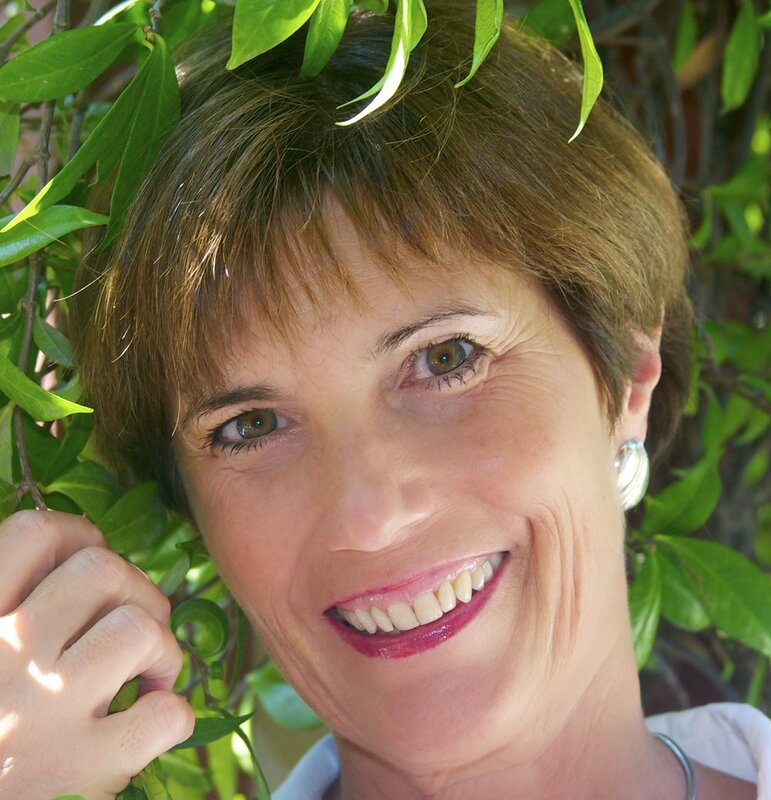 Susan Rensberger is an author, teacher, consultant, healer and guide.